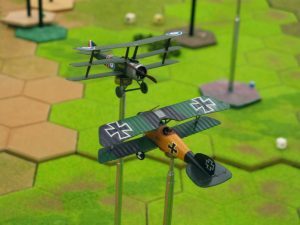 There’s a big multiplayer game of Knights of the Sky, the club WW1 aerial dogfighting game, on the 24th January. The game will have up to six a side and will be a free for all, last man standing dogfight, with victory for each pilot being measured by the number of enemy aircraft damaged or destroyed. 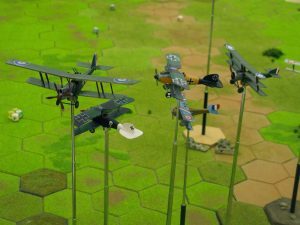 The game will be set in Early 1917, so the RFC / RNAS will be able to fly Sopwith Pups and 1 1/2 Strutters, alongside RE 8’s, Spad 7’s and Nieuport 17’s. The Huns get the Albatros DIII and the Roland DII, together with two seaters like the Roland CII. The French have the Nieuport 17 and the Spad 7. 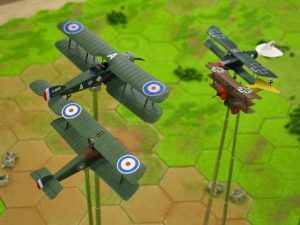 There are plenty of planes to use if anyone doesn’t have their own, although there’s still time to glue together an Airfix or Revell biplane kit from your Xmas stocking. So, drop by the Yahoo group and sign up for your chosen side if you would like to join in, as places are running out fast.